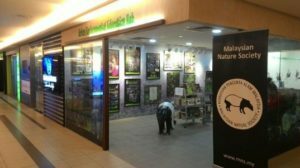 The Malaysian Nature Society (MNS) has since pride itself with our parks and centres throughout the country in the effort to create awareness and educate the public on the importance of conserving our natural heritage. Our sheer history in this arena has led us to believe the larger the scope of awareness, the more reach it will receive hence evolving our next edition from a nature setting to one that is urban, bringing nature education closer to city dwellers. 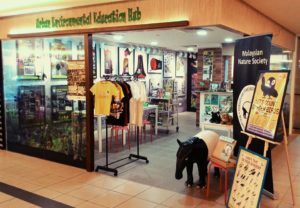 Our latest environmental education centre, our very own Urban Environmental Education Hub is located at level P1 of the South Court, Mid Valley Megamall, and the first of its kind for MNS with the generous and gracious support from IGB Reit. 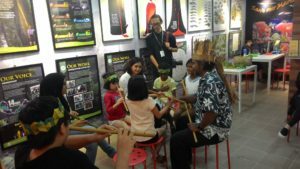 The focus of this centre is to raise public awareness on the importance to conserve and protect our natural heritage and we hope to achieve this through many education tools and activities. Our opening hours are from 10am-6.30pm daily and to commemorate special environmental days such as World Environment Day, Earth Day, World Tapir Day, and many more, the operations hours will be extended. So, now you and your loved ones have a great place to visit and learn more about our rich natural heritage. 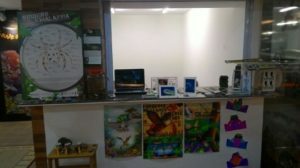 Do not hesitate to ask us more about how you can contribute to the conservation of our environment and take part in the many activities that will be organized from time to time. Don’t forget to visit us and get some excellent environmental books published by MNS. To all MNS members, we are happy to offer a special rate on all merchandises purchased from the centre. See you at the new Urban Environmental Education Hub.